This was a set book for my feminist fantasy book club, and after dipping our toes into making themed food for our previous book, my friend went all out and made an absolute extravaganza. I was a bit slow getting started on this book because my last one took so long, so when it came to buy a copy I couldn’t find one locally at short notice. Instead, I bought a copy for my Kobo. “The City of Brass” by S. A. Chakraborty is a fantasy novel and the first in “The Daevabad Trilogy”. 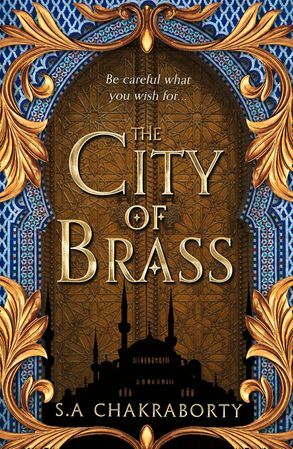 Nahri is a young woman who lives on the streets of the sprawling city of 18th century Cairo with nothing but her smarts. Surviving on a number of hustles, Nahri has a real aptitude for languages and, to a lesser extent, healing. However, when an improvised healing ritual for cash goes awry, Nahri finds herself beset by monsters and whisked away by a mysterious djinn. I can’t stop thinking about this book. I keep getting random flashes back to different scenes weeks after I’ve read it. Often a really good book is really good in a particular way: the writing is beautiful, the characters are compelling, the plot is surprising, or the ideas are unique. However this book is good in a different way. The thing that makes this book excellent is its balance. 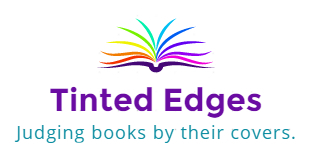 Like a line of dominoes, as soon as you start reading they all start toppling and click, click, click – everything falls into place in the most satisfying way. Chakraborty keeps a perfect amount of tension throughout the book, and the story never grows stale. One criticism I often have of modern fantasy is that it’s often not very imaginative and draws on well-trodden tropes like elves and orcs and angels and demons. This book instead draws on Middle Eastern and African mythology and Chakraborty’s own experiences studying in Egypt and the history and culture of the region seep into the story and make it rich and convincing. I’ve been trying to think about what I didn’t like about this book, and I’m really struggling to come up with anything at all to be honest. Probably the only thing that I found a bit hard was the complex politics of the city of Daevabad and keeping track of the different districts, factions, djinn and shafit – part human, part djinn. Adding to the complexity is the fact that the Daeva, one race of djinn, claim the name of djinn for themselves, further confusing things for the reader. Nevertheless, this story was a great read and ended up being one of those book club books where everyone agrees it’s great and runs out of things to talk about. Luckily we were kept busy with some incredible food. If you’re looking for some very engrossing fantasy that is definitely not run-of-the-mill, look no further.